Just How Long Will Our Democracy Last? We always hear that Washington and Jefferson and some other famous white guys established our democracy in the late 18th Century 232 years ago. But Professor Mason is right. And the life of the little black girl who won five medals in gymnastics in the 2016 Olympics in Rio supports her contention. 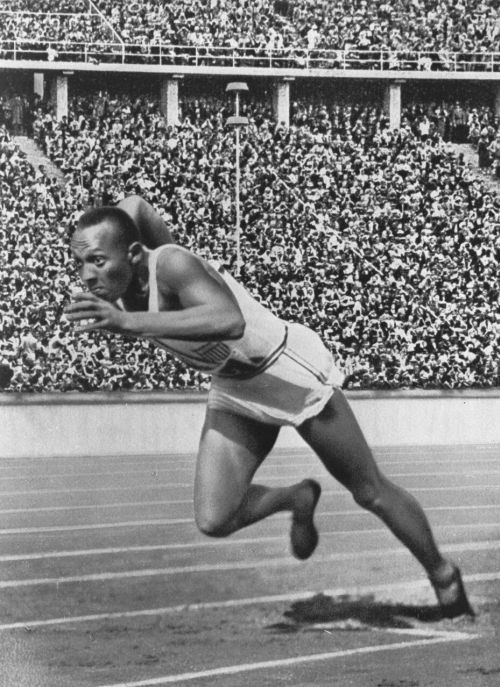 Yes, black Jesse Owens won four gold medals in track and field in the 1936 Olympics in Hitler’s Germany, but after returning from a moment of glory he couldn’t find a decent job in the United States. Jim Crow still exists today, but the civil rights and voting rights laws passed in the mid-1960’s established the beginnings of democracy in the United States. With what is happening today, Mason is suggesting our democracy may be dying on the vines of racism, bigotry, and the failures of religion to establish relationships among our varied colors and experiences. Biles, whose early life was akin to horrifying, conquered obstacles by hard work, great technique, and natural talent. At age 16 she won her first national championship and remained undefeated to the Rio Olympics, winning four gold medals and one silver. Almost every gymnastic expert in the world considers her to be the favorite to win the 2020 Olympics in Tokyo at age 23. Democracy made it possible in spite of her black skin. When we examine the extended conflict among races since slavery brought about the deaths of 750,000 Americans, we have had a number of cease-fires, lynchings, beatings, Ku Klux Klan raids, and cities such as Detroit, Chicago, Washington, D.C. Los Angeles, and Miami erupting into open race warfare. As many as 15,000 white parents with their children cheered and jeered as black men and women were hanged, burned, shot and mutilated for body parts at a Saturday afternoon in the park. Grisly photos on postcards were sent around the country celebrating “a human barbecue.” We have had entire areas of major and minor cities destroyed in race riots. Over 200 Jim Crow laws were passed after Reconstruction to make sure blacks would remain uneducated sharecroppers. It was against the law in some states to teach blacks how to read and write. Now we are in the fifth Jim Crow period with states passing laws to keep non-whites from entering all voting booths. For about 40 years after World War II we had quite a number of conservative Democrats and liberal Republicans making deals in the halls of Congress. But the rightward lurch of the extreme right Tea Party in the last 15 years has just about eliminated bipartisanship. We no longer have politicians who want to make life better for all regardless of party. Their main interest is power and winning the next election—and continuing to screw their opponents without mercy. The Republican Party is now 97% white. The Democratic Party is composed of 56% whites, 19% blacks, 17% Latinos, and 8% “other.” To black and Latino voters the Republicans have made no “political” effort to bring them into the all-white canvas tent. At times Democrats have almost ignored blacks and Latinos, but Democrats, with the help of a few liberal Republicans, passed civil rights and voting laws in the 1960’s and gradually won minorities over due to Republican neglect—and scorn. Old white Southern conservative Democrats turned into conservative Republicans because of Lyndon Johnson’s support of civil rights and voting laws. When Ronald Reagan opened his campaign for the presidency at Philadelphia, Mississippi where three civil rights activists were murdered by the Klan, his speech sent a strategic signal to whites that to survive in the South they should join the white party. Do White Men Want Democracy Or A Divided Kingdom? Two researchers, one at Clemson University and one at Texas A&M, have raised an important question: “Are white people ready to bail on democracy?” With the growth of racial intolerance by whites because of illegal immigration, the killing of unarmed blacks by police, the worshipping of “patriotic” football field-sized flags and jet fighter and bomber flyovers, and the constant animosity among races in many large cities, Professor Steve Miller of Clemson and Professor Nicholas Davis of Texas A&M predict that military rule by a strong-arm tweeting leader called Donald Trump is just around the corner. Many white men, feeling the pressures of being outnumbered at the ballot box, on the job, and in society, seem to want to do away with the inconveniences of elections, courts, and legislative oversight. Republican leaders and Congress, having accomplished their two main goals, a huge tax cut and filling their wallets, have decided to let their psychopathic ignorant leader crash his way through the White House china. Their research paper titled “White Outgroup Intolerance and Declining Support for American Democracy” is a disturbing, fascinating read. They feel that Trump’s racist and authoritarian movement is deviating from our history. Historians point out that no modern democracy has survived a government transition where the dominant skin color has become less than the majority group. Whites in America will become a minority in about two years. Will the historians be right? Look what the white party in charge has failed to do. How long can our politicians ignore our problems while they spend their time enriching themselves and their billionaire owners? Our billionaire Secretary of Education Betsy Devos, who has never entered the doors of a public school as a student, is now proposing to buy AR-15 semi-automatic rifles to present to teachers along with their teaching certificate. She wants to remove the protections available for preventing for-profit vocational schools from ripping off students who have been sold a rotten bill of goods by greedy promoters. (Remember Trump University?) Her energy is directed at closing as many public schools as possible by opening more private and charter schools. Perhaps the Devos family could park their nine yachts on the Great Lakes near cities and use them as charter schools. Over 44 million Americans owe over $1.5 trillion in student loans. American teachers are now so poorly paid they cannot afford to live in the cities where they teach. Many have to have second jobs. Pharmaceutical companies and criminal drug cartels are currently killing 72,000 Americans a year with opiates. Income inequality is directly responsible for shorter life spans of struggling workers. The National Rifle Association is holding Congress hostage while flooding the country with an estimated 350 to 400 million firearms, some of which are capable of firing 700 rounds a minute. We murder 16,000 a year and 17,000 commit suicide with firearms. Each year we average 100,000 people wounded by firearms, costing our economy $229 billion sewing guts and limbs back together. The rest of the world thinks we are nuts about guns. The evidence is clear. England and Wales had 55 fatal police shootings in the last 24 years. In 2015 we had 59 fatal shootings by police in 24 days in 2015. Finland’s police have fired six shots at people since 2013. In Pasco, Washington police fired 17 rounds into one man in one hour. In 2018 we are spending $21 million an hour—or $277 billion for the year—to care for Alzheimer’s patients. If we do nothing to cope with this terrific problem, by 2050 the cost will be $1 trillion a year. We have hundreds of serious problems politicians should be working on instead of calling donors and attending fundraisers. To elect an average senator today runs about $20 million, a house seat $1.5 million! That’s what the Republican Supreme Court’s Citizens United decision did to our politics. Open the money flood gates! What Will Happen To Two Major Religious-Political Parties? In recent years the Republican Party has morphed itself to white Protestant Christianity to get enough votes to elect a Congress and an atheist, immoral president. But is the Republican Party committing racial and political suicide by being 97 percent white while accusing the other colors of being “dumb,” “lazy,” “inferior,” “unpatriotic,” “members of street gangs,” “rapists,” and “violent criminals?” Whites will be a minority in a couple of years. Will the Republicans be able to pass enough voter restrictions to eliminate more millions of new majority voters? Pope Francis landed in Dublin this morning to attend a Vatican-sponsored World Meeting of Families. Irish writer Fintan O’Toole, who at one time was an altar boy in the largest Catholic church in Dublin, writes that actually the Pope has come to say mass at the funeral of the Church in Ireland. O’Toole has good reason. His church was a big one with three altars and row after row of long wooden pews. When he was an altar boy the church had six Sunday masses with every seat filled. Eight priests were kept busy handling the affairs of the congregation. Now the church has one Sunday mass and only a few seats are filled. The one priest left is part-time.